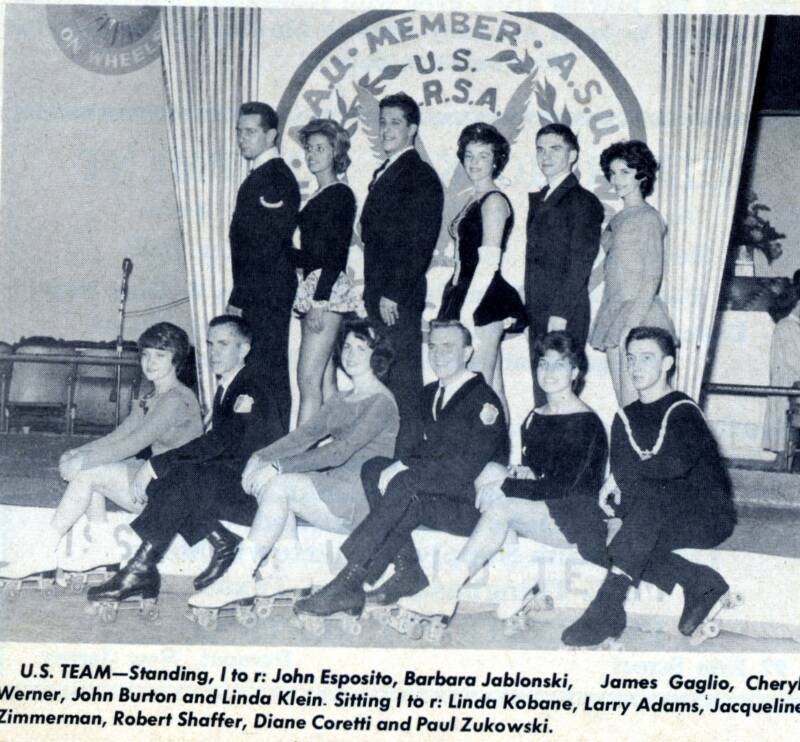 Larry Adams, Men's Singles, Levittown, N.Y.
Linda Kobane, Ladies' Singles, Levittown, N.Y.
Diane Coretti, Ladies' Singles, Levittown, N.Y.
Eunice Lee Prokop, Ladies' Singles Trenton, N.J.
John Burton and Linda Klein, Mixed Pairs, Levittown, N.Y.
John Esposito and Barbara Jablonski, Elizabeth, N.J.
James Gaglio and Cheryl Werner, Dance Team, Levittown, N.Y.
Paul Zukowski, Men's Singles, Elizabeth, N.J.
Eunice Lee Prokop, 16 year-old student at Cathedral High School, gets a send-off from Mayor Arthur Holland as she prepares to leave for Miami Beach to represent the United States next week in the world's roller skating championships. 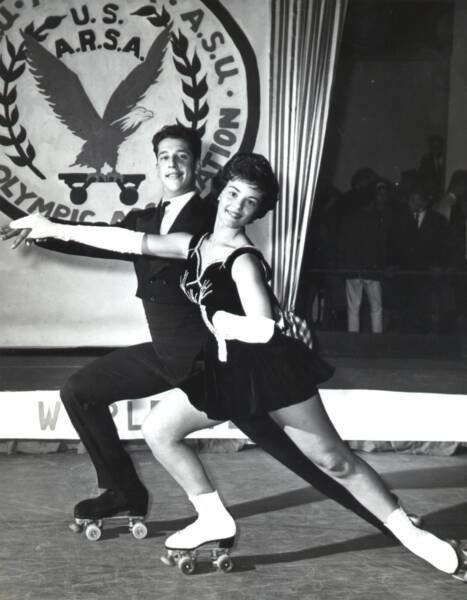 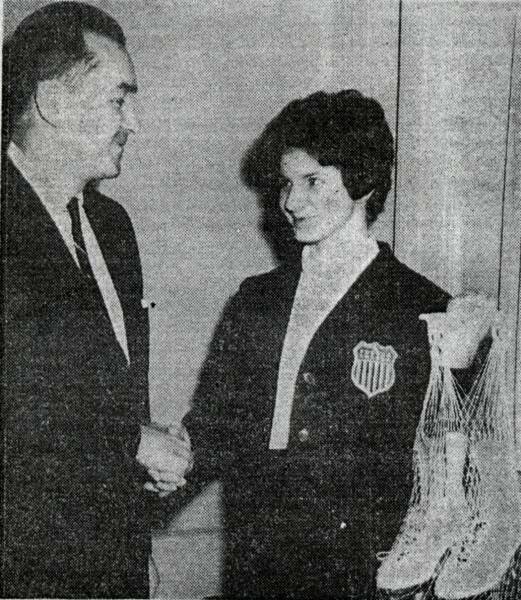 The 1960 national ladies intermediate singles champ and the 1961 national ladies junior champ, Miss Prokop was selected for the competition by the United States Amateur Roller Skating Association. 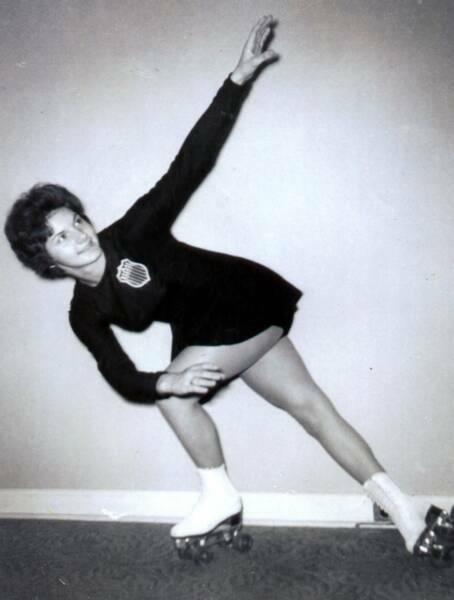 She is the daughter of Mr. and Mrs. Frank Prokop.